Patios are for relaxing and soaking in the sun, right? Our dogs pretty much ate every piece of patio furniture we've ever owned and we're down to 2 chairs and a bench, hardly enough seating for us and the kids when guests are over. I've wanted nicer seating for the kids but there's nowhere for me to store it all when we're not using it – if I left it out, the dogs would destroy it. My solution? Bean bags! We can use them outside and then bring them in, storing them in a closet until the next time we need them. Every bean bag I've seen at the store doesn't have a washable cover and we'd need that for spills and to wash the dirt off the bean bags. Also, the bean bags I found in our area had a scratchy, almost vinyl-like cover which can't be comfortable for sitting, especially in shorts. We found a solution! 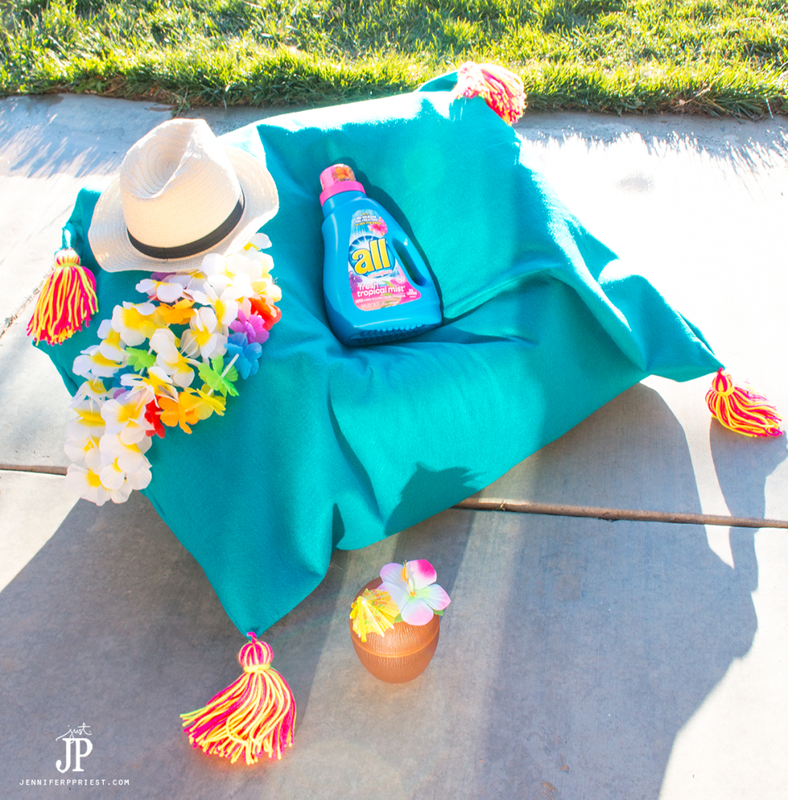 Today I am going to share with you how to make an easy DIY bean bag cover with tropical flair that is washable, perfect for using with all® Fresh Tropical Mist™. When I was a kid, we had this faux leather, vinyl bean bag. My sister and I would fight over who go to sit in it. And I have no idea why. It smelled funny, because the dog sat on it all the time, and it stuck to your legs and made them sweaty in the summer. But that's what you do in the summer in So Cal; lounge around, eat tacos, listen to the family talk, and play with your cousins. Like my grandparents and parents, we now have a big backyard patio for family gatherings, barbecues, and just enjoying the weather. 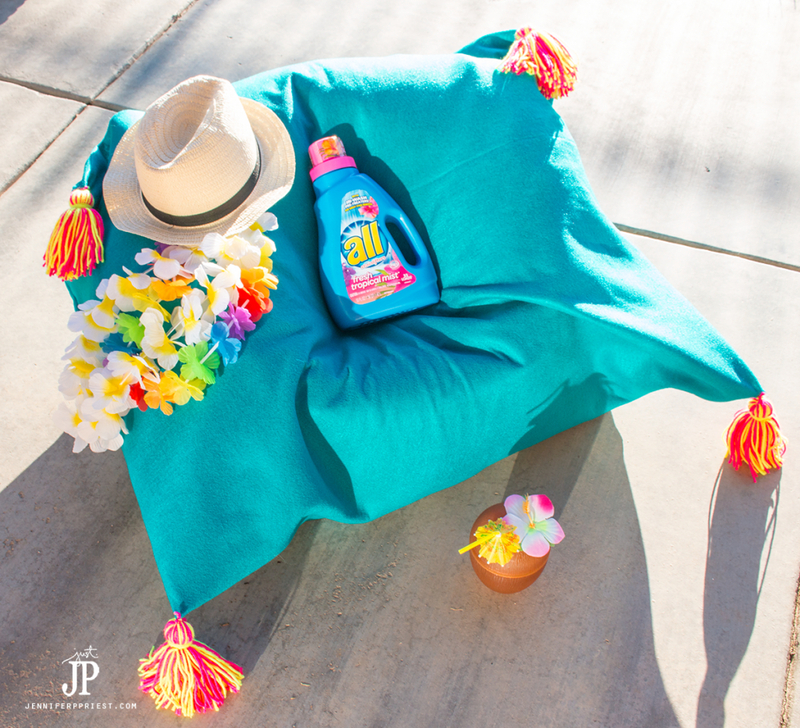 Plop down a few of these fun bean bags, in bright tropical Latin colors, for a fun fiesta every day of the summer! Unlike the bean bags of my childhood, the kids can have a much better experience and be in the middle of the action. 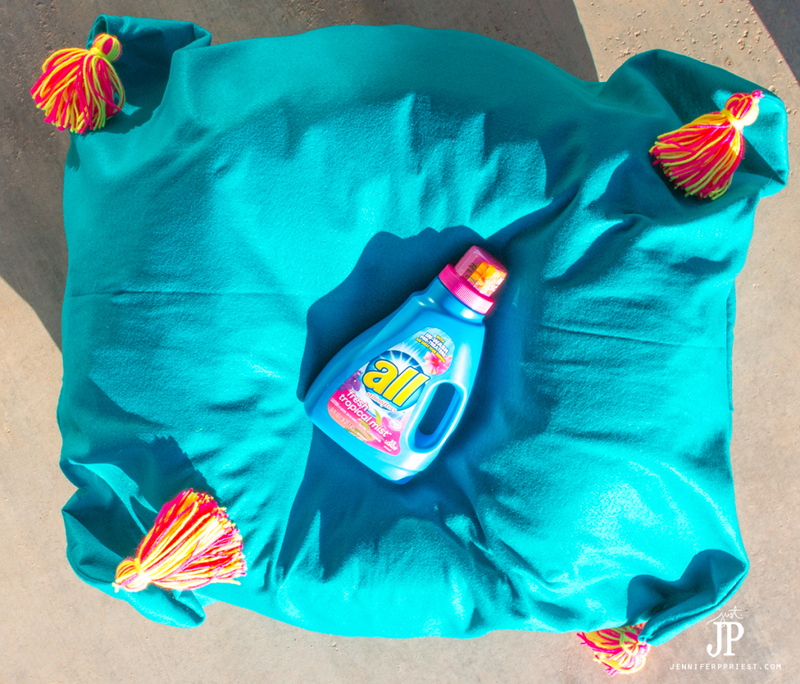 Wash the bean bag cover in all® Fresh Tropical Mist™ to give it an amazing, fresh tropical scent. 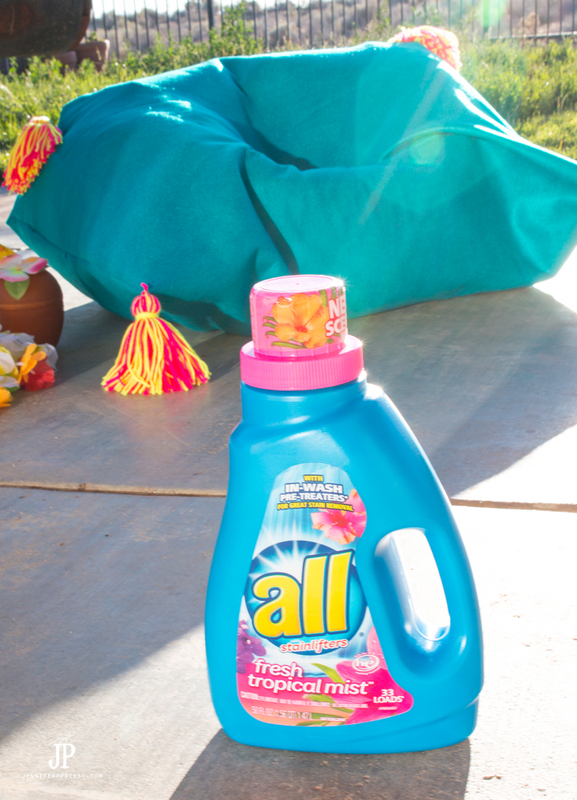 Every time the kids sit down, they'll smell the great aroma from the all® Fresh Tropical Mist™ detergent. Talk about ambiance, right in your own backyard! We live in the desert and it's so nice to experience the flowery, tropical scent of all® Fresh Tropical Mist™ right in our backyard, without leaving home. The felt I chose for the DIY bean bag cover is washable and is made from recycled plastic bottles! I feel good about that… Felt is easy to sew, is really affordable by the yard, and it washes up beautifully. Because it is felted, you don't have to stitch the edges or worry about fraying. I chose felt in a bright, pretty blue to give our backyard patio some color. 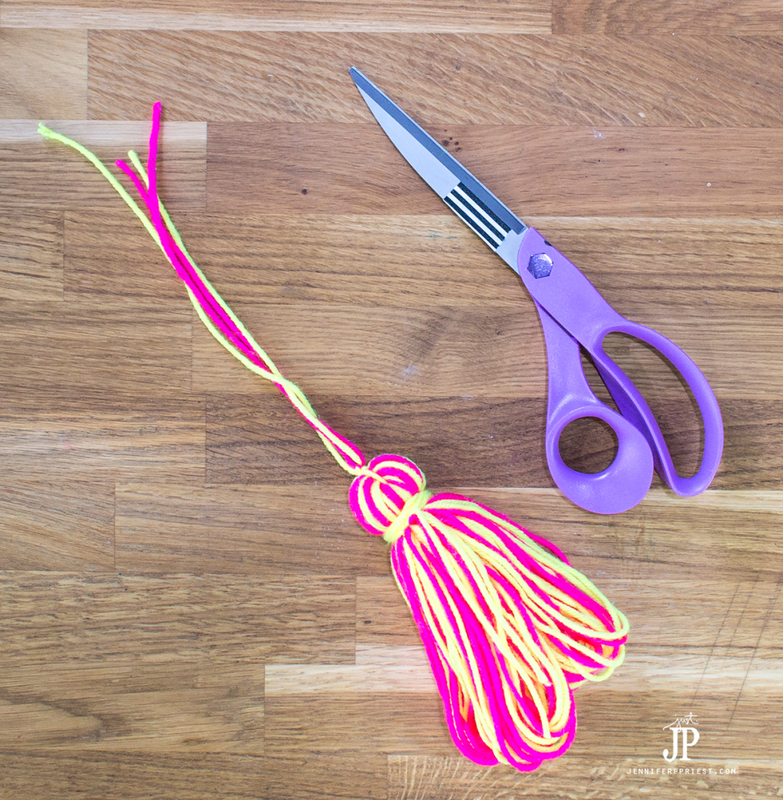 I decided to add handmade tassels in bright neon colors using yarn. 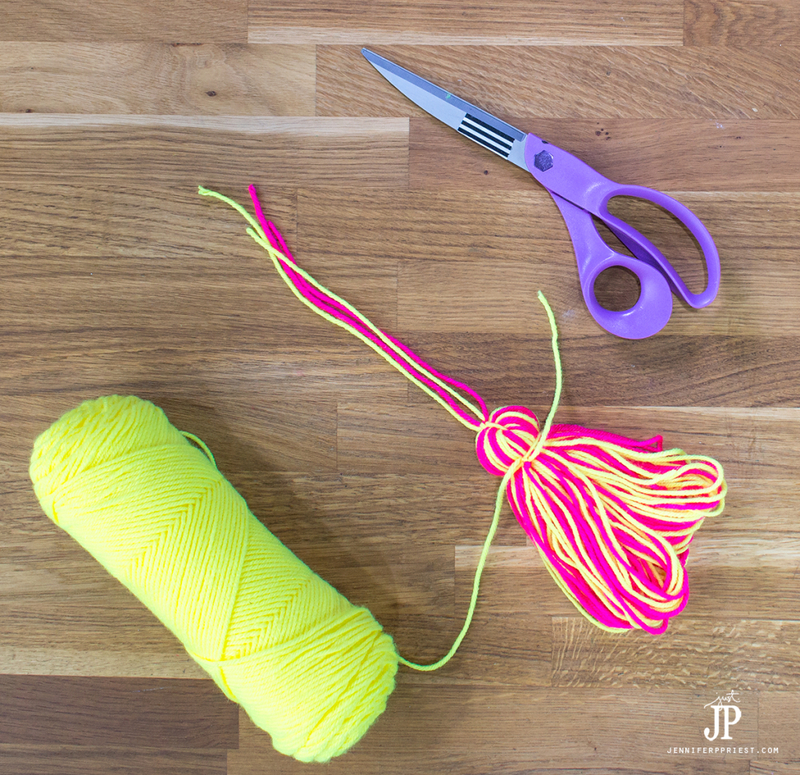 Yarn tassels are easy to make plus you can choose the colors YOU like! 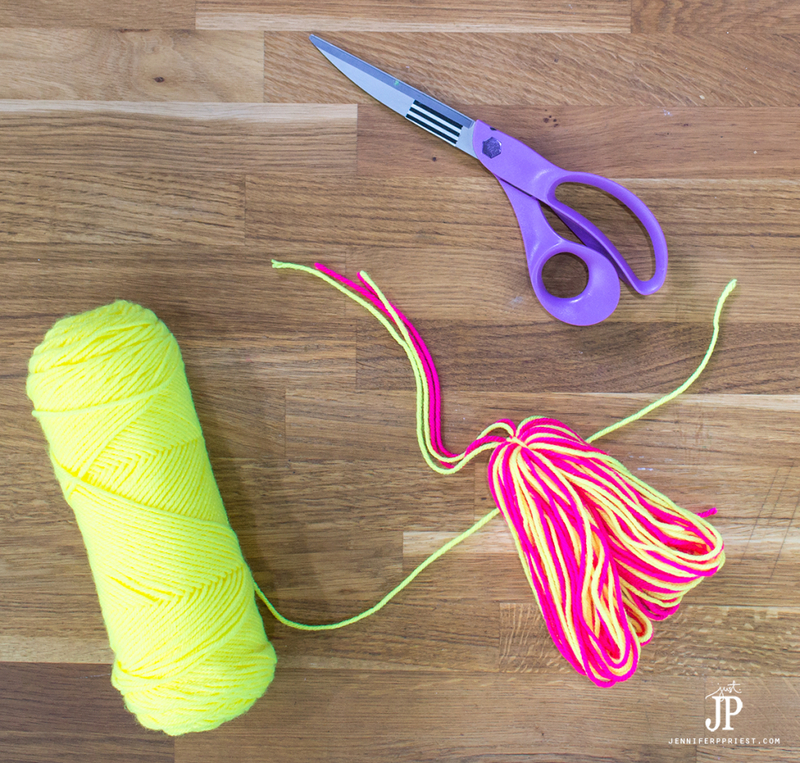 Once you learn how to make these tassels, you can make more using ribbon, twine, embroidery floss or any other stringy material you like. 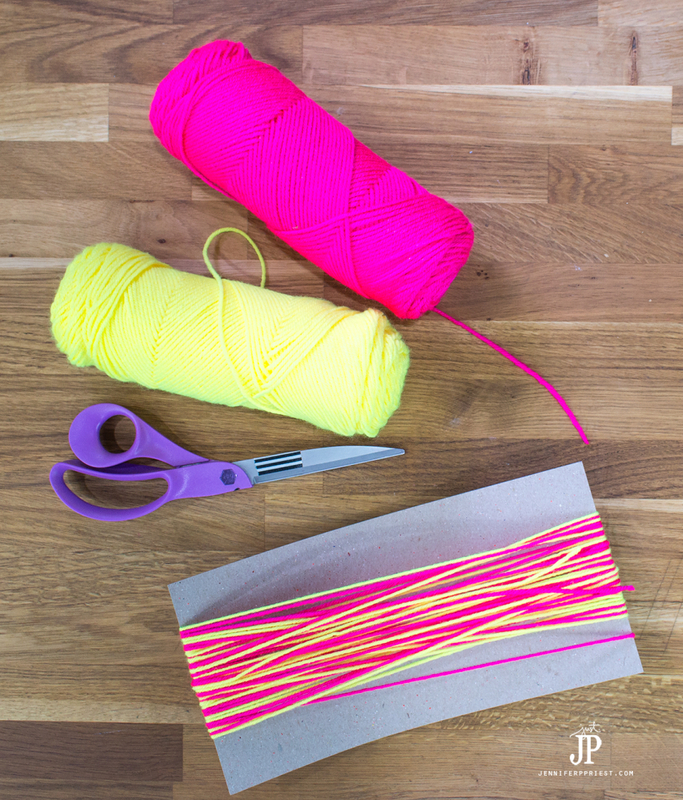 Find a piece of cardboard, chipboard, or a book that is TWICE as long as you want the tassel to be. So if you want a 6 inch tassel, find a piece of cardboard that is about 12 inches long. Wrap the piece of cardboard with the yard at least 50 times. 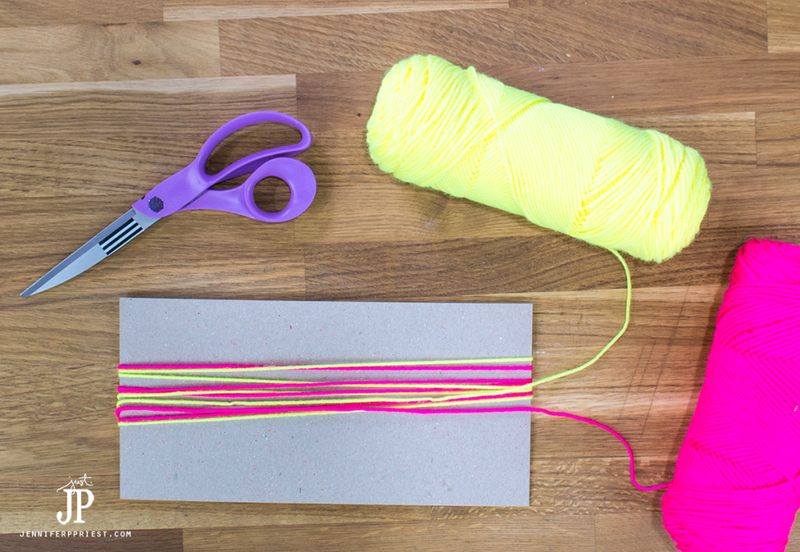 If you are using two colors of yarn, like I did, wrap each color around the cardboard 25 times. 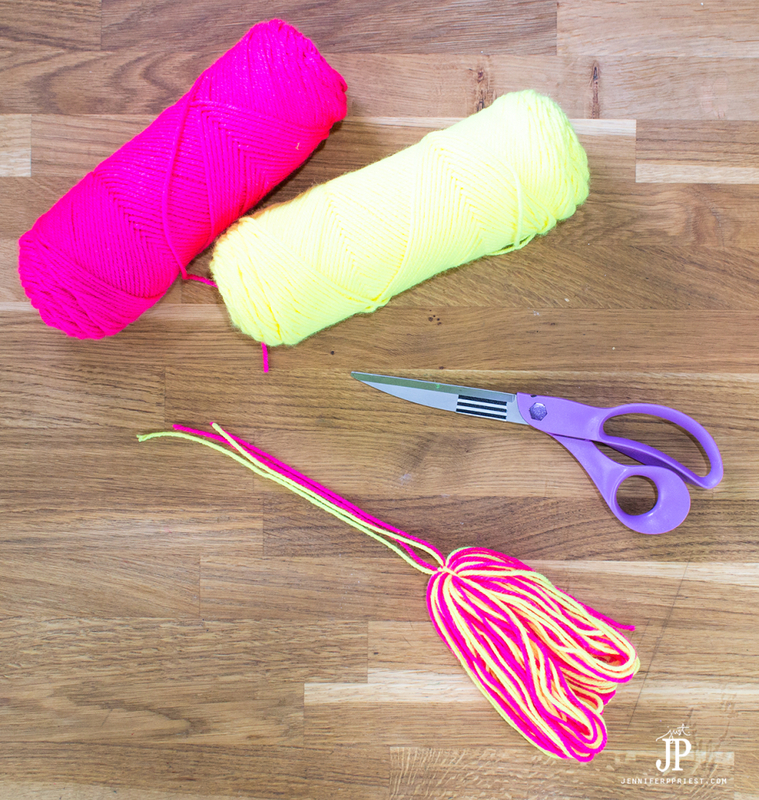 I wrapped both colors at the same time to save time and to make sure that the two colors of yarn would be evenly mixed throughout the final tassel. 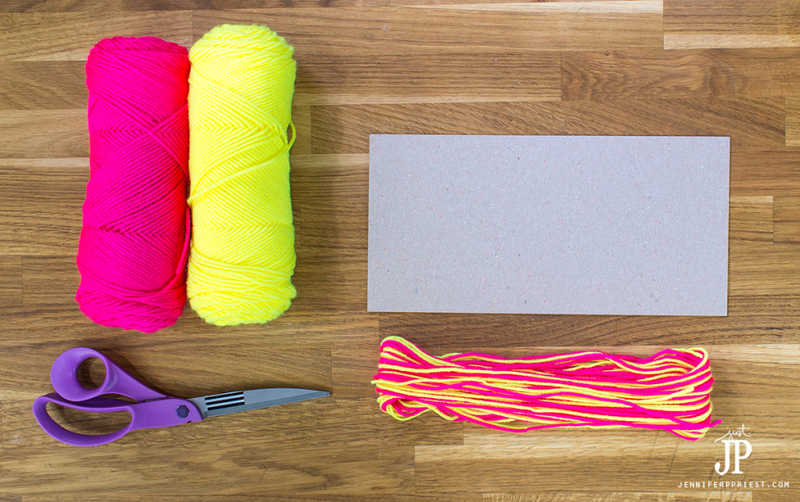 Carefully slip the yarn off the cardboard, keeping the loops intact. Tie a piece of yarn around the middle of all the loops. 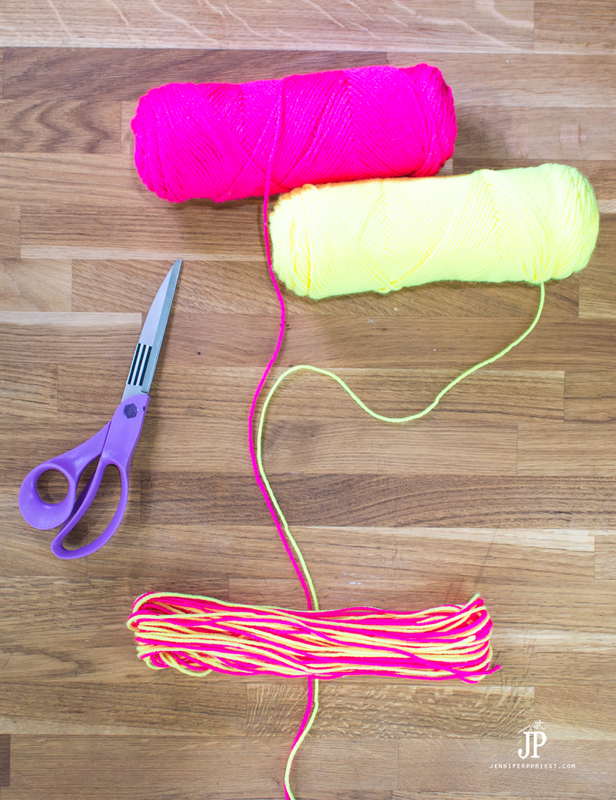 Pull up on the piece of yarn and let the loops drape down to the ground. Use your hand to smooth them down and make sure there are no kinks. Grab the top of the stack of loops, about one inch from the top. 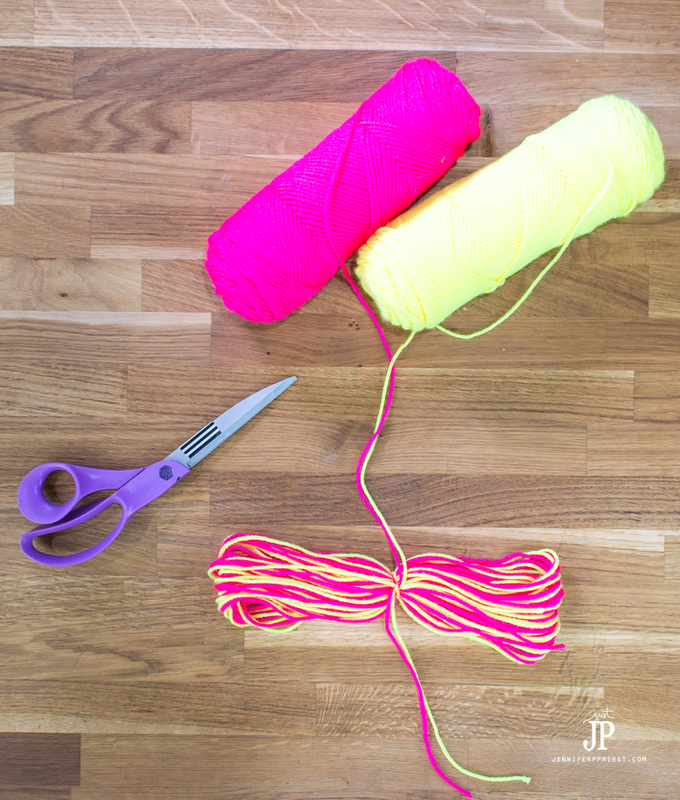 Tie a piece of yarn around all of the loops and wrap several times. 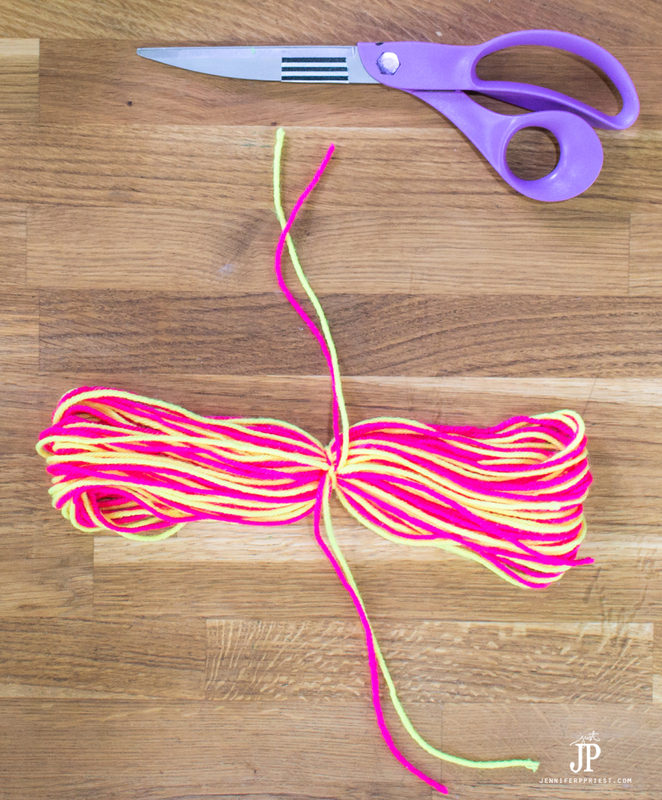 Again smooth or brush the loops with your hand so they are not bunched or hung up on one another. 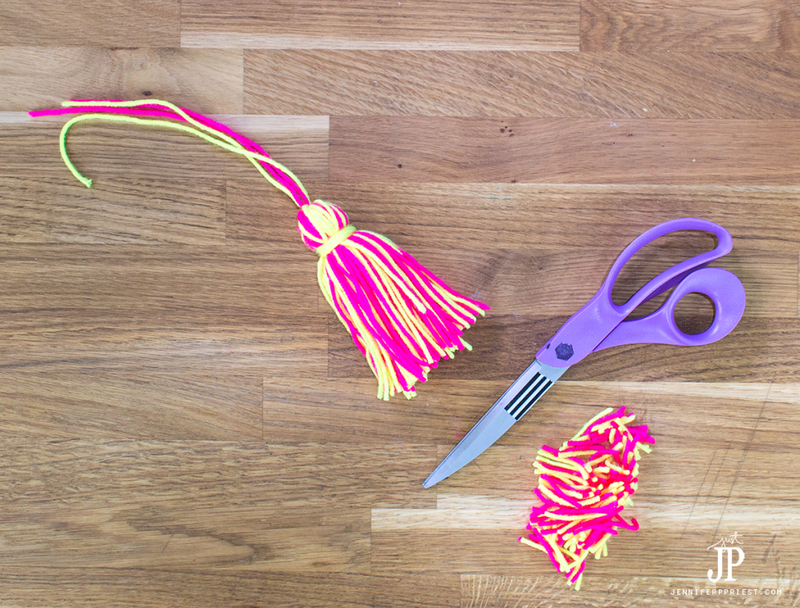 Trim the bottom ends of the loops with scissors to make them even to form the bottom of the tassel. 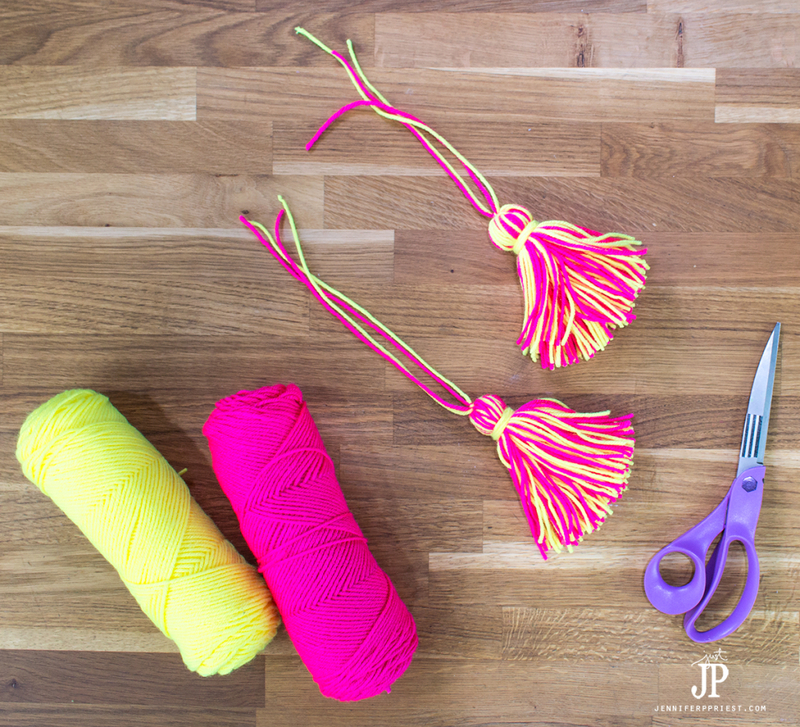 Repeat 3 more times to create 4 tassels to decorate the bean bag cover. Next, make the bean bag cover and then we'll attach the tassels. Wrap the bean bag in the length of felt so that the ends of the felt overlap one another at least 5″. Pin or mark the edges. Remove the bean bag from the felt “burrito”. 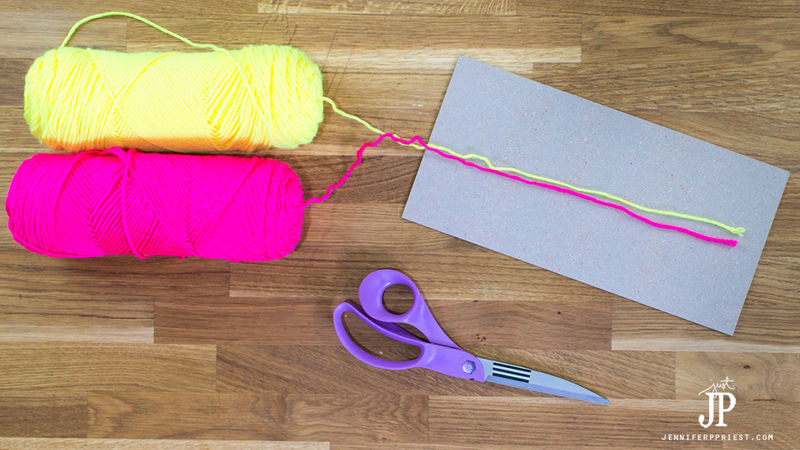 Flatten the felt and pin the ends together. 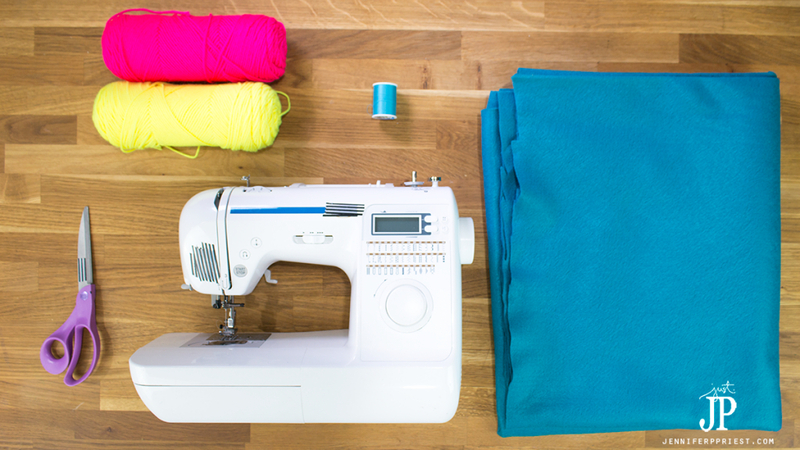 Sew a straight stitch along each end to close the top and bottom of the “burrito”. Slip the bean bag inside the slit on the “burrito” to check for fit. The felt can stretch a bit if it is too tight. If it is too loose, sew the ends a little bit closer inwards. Attach the tassels to the corners of the cover with a yarn darning needle and yarn or with small safety pins to make them removable. Watch the video below to see the full tutorial in action – it's really easy to do! Decorate your patio with these fun tropical DIY bean bag covers for your next family get-together!! I can just imagine the kids eating roasted Anaheim Chiles wrapped in tortillas while sitting on their bean bags while we grill this summer. 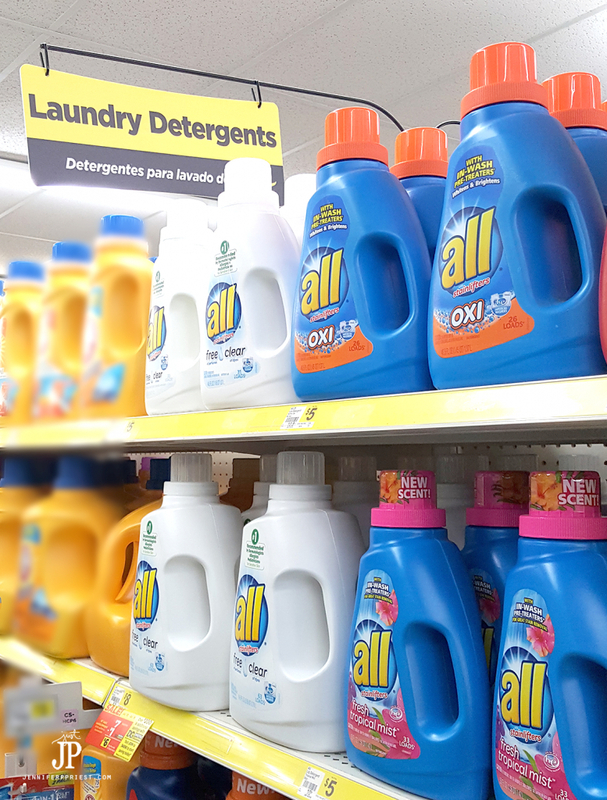 The kids are gonna love the fresh tropical scent of all® Fresh Tropical Mist™ and you'll love the in-wash pre-treaters for great stain removal with all®’s trusted stain fighting power to fight the toughest kid stains like grass, mud, and grape juice. At 30% less than the leading brand, all® Fresh Tropical Mist™ is an affordable and hard-working choice! What memories will you make this summer? That is SO much fun! I love the colors! Also that ALL looks like it smells pretty good. I’ll have to check it out. Such a clever idea and I love the bright tropical colors! I was planning on picking up some bean bags for extra seating for guests – – I will for sure make these covers – – so cute and I had no idea there was a washable felt!! THis is so colorful! Thanks for the easy to follow tutorial. Great project, just wish you had one photo of the bean bag cover without the All bottle…..not to worry your tassel tutorial is perfect too, so I’ll feature that! 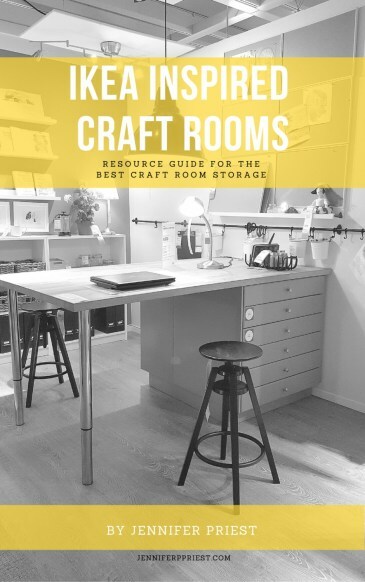 thanks for sharing on craft schooling Sunday!